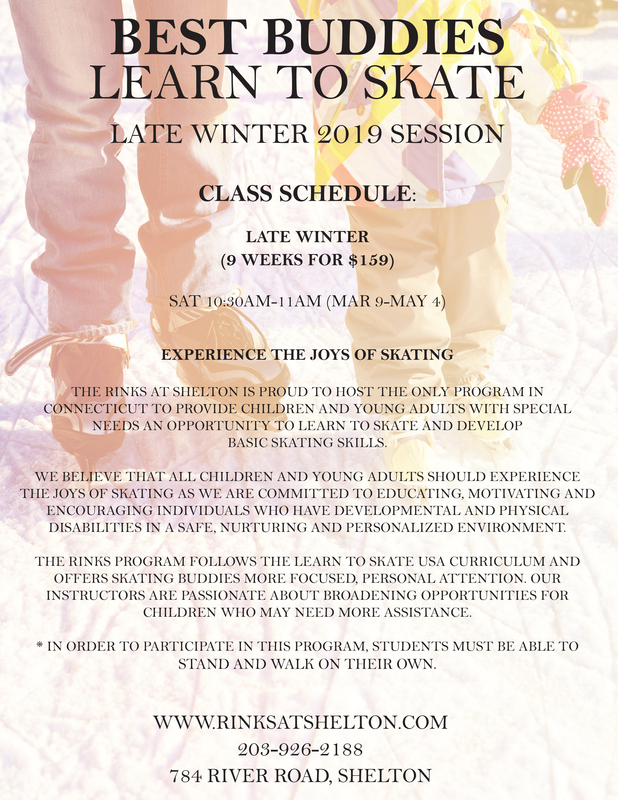 The Rinks at Shelton is proud to host the only program in Connecticut to provide children and young adults with special needs an opportunity to learn to skate and develop basci skating skills. We believe that all children and young adults should experience the joys of skating as we are committed to educating, motivating and encouraging individuals who have developmental and physical disabilities in a safe, nurturing and personalized environment. The Rinks program follows the Learn to Skate USA Curriculum and offers skating buddies more focused, personal attention. Our instructors are passionate about broadening opportunities for children who may need more assistance. *In order to participate in this program, students must be able to stand and walk on their own.